This ULTIMATE Music Theory Online Course has it all! FINALLY – The Complete Music Theory Course you’ve been waiting for! Looking to learn at your own tempo and when it’s convenient for you? This Online Complete Music Theory Course will guide you through each concept in an easy step-by-step system as you see, hear and complete each exercise. the ULTIMATE Complete Music Theory Online Course that has it all! Watch Now – Learn How It Works, What Your Training Includes and Start Learning Online Today! Understanding Music Theory will open doors to a greater appreciation of music; an understanding of interpretation, improvisation and composition; and will bring you more joy in sharing and experiencing the universal language of music. 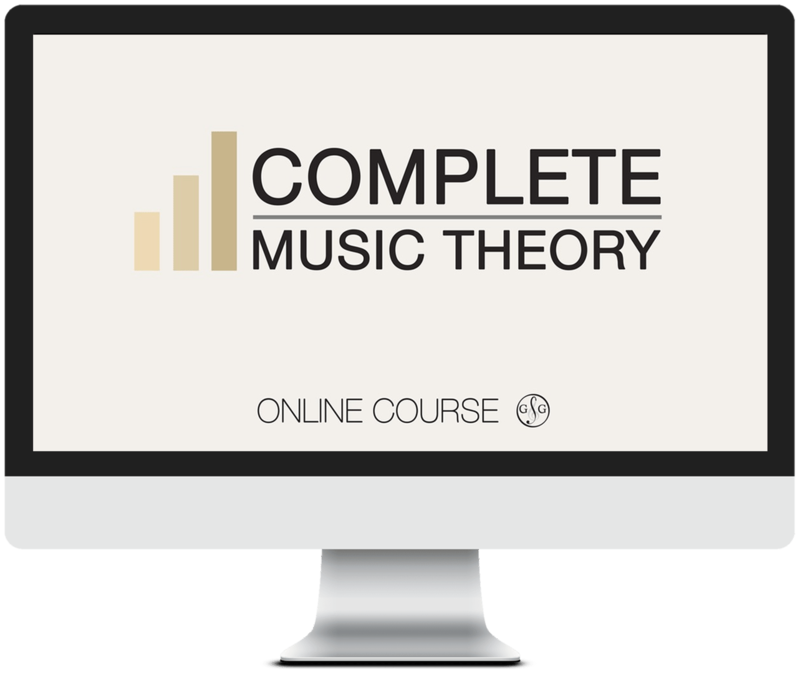 The Complete Music Theory Online Course contains 24 Video sessions. 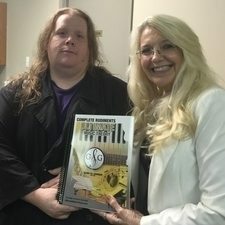 Each session covers specific music theory concepts as you work through all 256 pages of the Ultimate Music Theory Complete Rudiments Workbook (including all concepts from Basic, Intermediate and Advanced Music Theory Rudiments). Study at your own tempo and watch each video at your own convenience. What will your training include in the Complete Music Theory Course? "I took the Online Complete Music Theory Course and I have never had so much fun learning (and re-learning) theory. In taking UMT’s Complete Music Theory Course, I have gained an entirely new perspective on theory and even its teaching. Without question, I would recommend this course to any musician looking to refresh and even advance their knowledge and understanding of theory and rudiments. “New Gold Standard” in music theory instruction." What is the Complete Music Theory Online Course Process? Get Registered and Start Learning! At the end of each of the 24 video sessions, homework is assigned. Complete your homework in this self-study course and check your work with the answer pages. All downloadable worksheets and answer pages are included in each session. After video session 12, you will complete the Midterm Exam and submit it for marking. We are here to support your learning and happy to answer any questions you may have. Once you have finished all 24 video sessions of the Complete Music Theory Course, you are ready to take the Advanced Rudiments Music Theory Exam. What is the Criteria for the Course Completion? At the end of the Complete Music Theory Course is the written Advanced Music Theory Exam. Once you submit your exam for marking and it has been completed and marked (with a pass of 80% - First Class Honors), you will receive your Ultimate Music Theory - Complete Music Theory Course Certificate. (L to R) Meet your UMT Examiner Shelagh McKibbon-U’Ren and your Teacher Glory St. Germain. We are here to help you get started learning today. 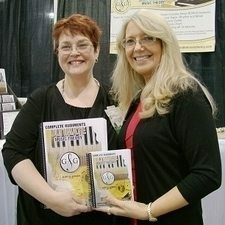 The Complete Music Theory Course Value is Over $1200! Imagine getting all this for only $299! The Complete Music Theory Course is The Way to Score Success! Learn, Laugh and Love Theory! Music is one of two universal languages around of the world. The other is mathematics. It is no surprise that the two are so closely linked, because, as they say, music is math in bloom. I want you to have the short cuts, the STEP-BY-STEP techniques, the knowledge and more importantly your own success story and I don’t want you to have to do it the hard way. I want you to SHARE your knowledge in the Complete Music Theory Course with others in developing knowledgeable successful musicians. I want to help you go beyond your wildest dreams and be on your way to Master Musicianship Skills. Get Registered and Start Learning Today! Complete Music Theory Online Course - Your Learning Success Starts Here!